Students will be taught the importance of respect, responsibility, self control and good behavior while learning self defense and how to maintain good physical and mental health. Students will learn from a master and become part of an association that is internationally recognized. Call 291-5656 for more information. *There is a one time registration fee of $30 which includes a uniform. Marching Band tryouts consist of flag and rifle drills, instrument selection, music fundamentals/techniques, and marching drills. Earl Williams is the Director. Call 291-5675 for more information. Designed for beginner, intermediate and advanced skill levels. Limited selections of instruments are available for use. Call 291-5675 for more information. No place to send your child when school is out? The ‘Rec’ provides supervised fun during public school holidays and teacher work days. Activities include arts and crafts, games, sports and more. You may register at any time during the school year. Participants must bring their own lunch and snacks. The children will have a blast and the price can’t be beat! Call 291-5675 for more information. Ages: K – 8th grade, camp dates are subject to cancellation due to lack of participants. Dates: School’s Out Camp Flyer!! 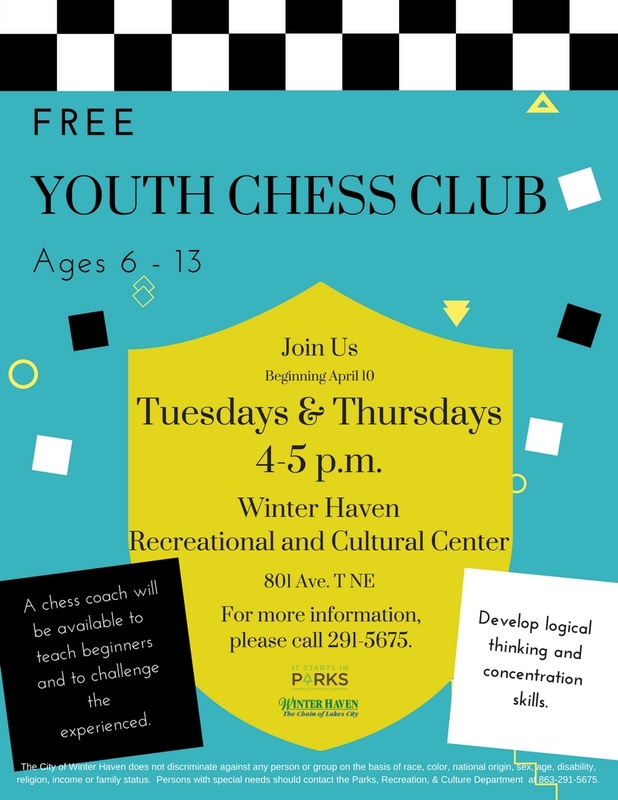 Time: 7:30 a.m. – 5:30 p.m.
All ages are invited to learn the game of chess from an experienced chess coach. If you already know how to play challenge others to a game instead. Youth Flyer! Call 291-5675 for more information. After School homework assistance and recreational activities are provided. Transportation is available from Garner Elementary, Elbert Elementary, and Brigham Academy upon request. Call 291-5675 for more information. 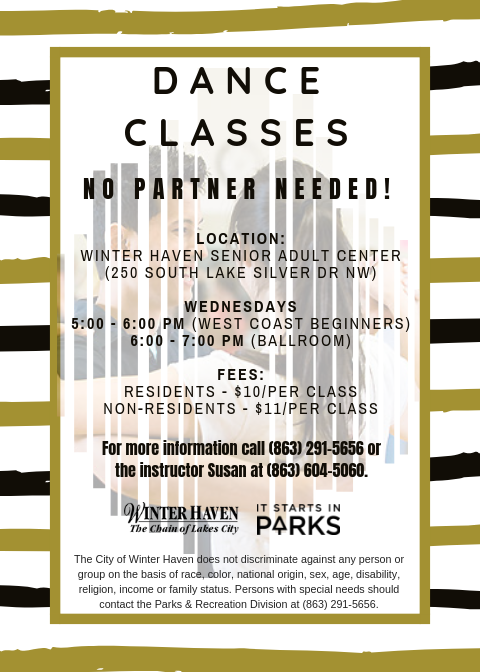 Instructor Susan Staton teaches two beginner/intermediate dance classes for all ages. West Coast Swing and Ballroom Dance, which are enjoyed both socially and competitively around the world. No Partner Needed! Call 291-5656 for more information. Dance Classes Flyer! Tribal Belly Dance classes are a fun way to lose weight and build self confidence. Join us on Mondays! Call 291-5656 for more information. Dog obedience classes will be offered for dogs of all levels.Sessions are one day a week for eight weeks. Click Here for class schedule! Call 291-5656 for more information. *This class requires pre-registration at the Parks, Recreation & Culture Offices at the Florida Citrus Building (500 3rd Street NW). 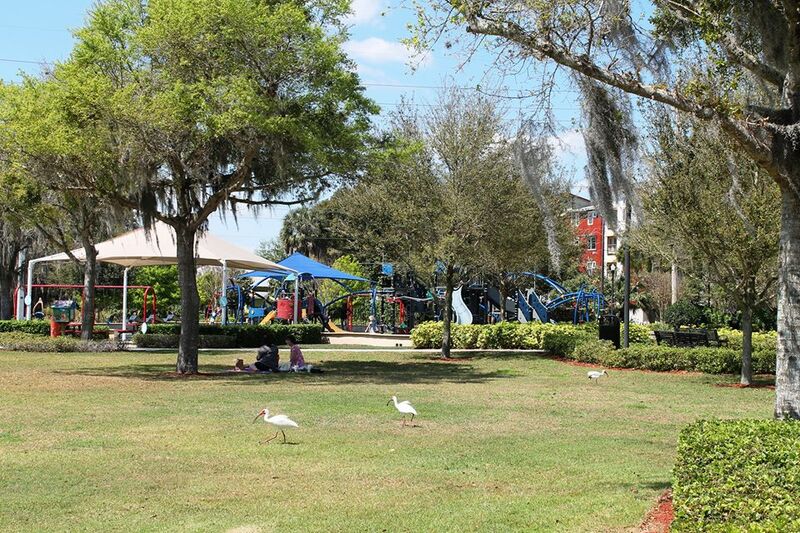 A wide variety of exercise machines, weight benches, squat racks and free-weights are available to the public for use. Call 291-5675 for more information. The computer lab is open to the public. Availability is based on programming. Call 291-5675 for more information. Come play pick-up basketball. Gym availability is based on programming and special events. Call 291-5675 for more information.